.... without a card to show, and someone unsubscribes from my blog because the content is no longer relevant. Sheesh. Oh, well, whatcha gonna do? So I pulled one out for you today that has been sitting ready for uploading. I love this color combo! I also used the chocolate SAB rub-ons. I have a much harder time using the colored rub-ons as opposed to just the black and white ones. How about you? In other news, my husband's bone scan and marrow biopsy test results came back clean! Praise the Lord! Thanks for all your kind words, thoughts, and prayers. This card is just adorable! And I agree - I definitely have a difficult time using colored rub-ons. Why is that?! don't sweat it, Becky! I knew it was relevant, to you and anyone who realizes that life is much more than stamping. I do think this color combo it yummy and the rub on looks fabulous. I am getting use to working with the colored ones. I am okay with the chocolate and trying harder to use the olive ones. great card! There are plenty of us that love coming to check out your blog not just because of your beautiful cards but because we LIKE you!! My thoughts and prayers are with you and your husband! Glad to hear about your the great test results! Fabulous card, as always!! Don't worry about that unsubscriber...I felt the same way the other day when it happened to me with the reason "not enough posts or too inconsistent"...something like that. I immediately went to Feedblitz and changed my settings: do NOT notify me when someone unsubscribes! Problem solved! Keep up the great work, I'm sending prayers and hugs to you and your family! Keep smiling, Becky! Don't let one bad apple spoil your day! Beautiful card! And prayers answered for good test results! Love ya'! I am a new subscriber and I'm much nicer than the meanie who unsubscribed, so no worries! :) Your blog is great, your art work inspirational. My prayers are with your family. 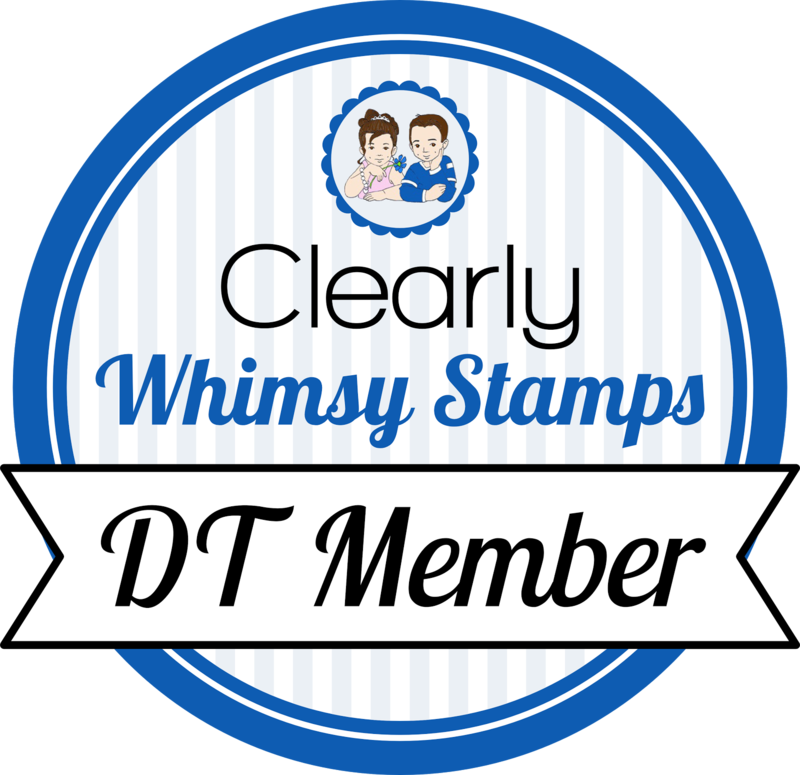 Keep us posted and keep up the "stamping therapy". Hugs to you! Such a beautiful card! You do such amazing work! Glad to see you found some stamping time! Still sending my positive thoughts your way! Take care of yourself! You can't please everyone all time - hehe! Great job with the card. 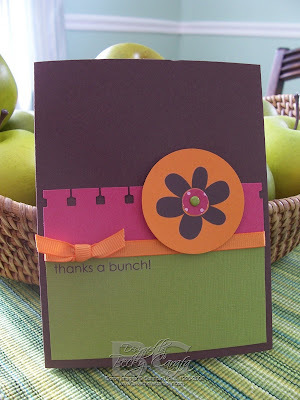 I really like the layout and the spiral punch edging. Don't sweat it, Girly! Just keep up the good work! One post without a pretty picture and you're CUT? LOL! whateveh, dear, you know there's hundreds of us checking in daily, and a few of us even post comments! Love this "filler card" and the swap card, can't wait to get that IRL! ugh!! I got the same reason just this last week also!! Oh well, I am *trying* learn to not care!! your friends still love ya and will come visit regardless!